James McAvoy is now among one of the best actors in hollywood and he has been working with Marvel since sometime now. James McAvoy came in to play the young version of Charles Xavier within the Fox’s X-Men franchise, but after the recent Fox acquisition by Disney, the actor seems to be ready to play another comic book role. However, he seems very interested in playing a well known DC comics baddie. 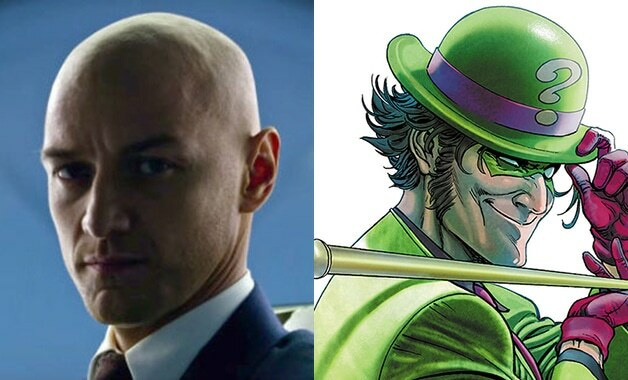 Very recently, James McAvoy revealed his interest in portraying the Riddler during a live video. McAvoy was asked over Instagram who would he prefer to play if he was involved in the DC Universe. “The Riddler? I always liked him when I was growing up. That would be cool,” the actor said. Until now, there haven’t been many plans for the Riddler to join the DC Universe. However, McAvoy could be an interesting choice. The Riddler has been spotted in Gotham series and the villain’s portrayal has been loved by fans in the series. Or James McAvoy in a Star Trek Film? Now we don’t know what happens post Disney’s purchasal of Fox, McAvoy will be in the market available for a superhero role. The actor began with X-Men: first class, after he played Professor Charles Xavier but it seems that the Scottish actor wants to explore more. Even if the Riddle never happens, James McAvoy hinted that he could land with a Star Trek role if it comes up at the right time. X-Men: Dark Phoenix releases in June.